Penny Stock Prophet Review - Is This Program/Course Legit? Home Trading Chat Rooms	Penny Stock Prophet Review – Another Pump & Dump Rip Off? 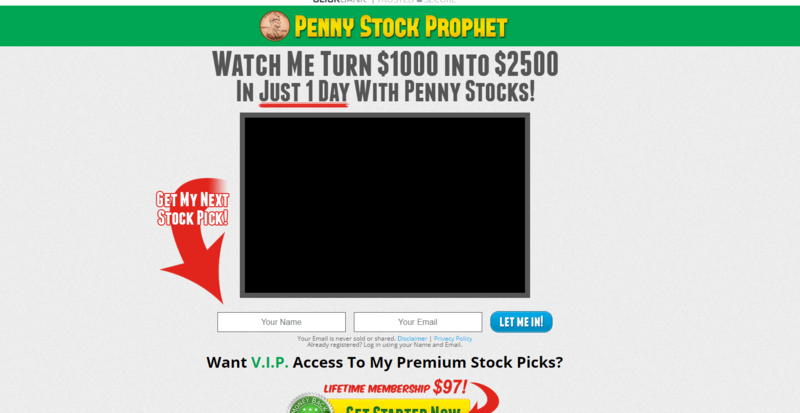 Penny Stock Prophet Review – Another Pump & Dump Rip Off? Penny Stock Prophet is a phony, pump and dump marketing scam that every trader should keep off. But why all this hate? To understand exactly why we warn our readers against this subscription service, kindly take a minute to read this review to the very end. First things first, our background check of James Connelly reveals that he is a faceless marketer who seems shady. What’s more? There is not even an ounce of truth to the gibberish claims and dirty tricks suggested here. Besides that Penny Stock Prophet is not about sharing trading picks but rather a well-orchestrated dirty trick meant to lure unsuspecting individuals into a twisted scam. It’s not rocket science! You only need to navigate to the site’s affiliate marketing page. This is where they recruit bloggers to spread the word in exchange for a 100% commission. Yup, you read that right- they normally use all the money you pay for the one-off subscription to meet their marketing budget. So, what’s the catch? If you read the sales page carefully, you’ll notice that it clearly states the following “We are in the advertising business.” That pretty confirms the fact that this is a marketing gimmick. The moment you give them your personal details by subscribing, you’ll begin to get a gazillion of emails with upsells. Further, the statement appearing on their affiliate sales letter reads that “Third parties pay us to market their services to interested subscribers.” Again, that’s a red flag – and only serves to confirm the unfortunate reality that this is a paid pump and dump scheme. Pump and dump stocks are normally sold by companies that are doing badly. So, they simply create a buzz around their stocks create an artificial demand which then fuels a price hike. Normally, words like “next big thing” and “hot tip” are used to describe such stocks. And the goal is, usually, to send the stock prices through the roof. At that point, the guys behind the plot usually sell off their stocks and hastily retreat from the market. Within a few days (or even hours) the whole stock crashes and those who fell for the scam end up losing their hard-earned income. That’s pretty much what happens with the Penny Stock Prophet. Usually, the picks shared through their newsletter experience a sudden jump immediately an email alert is sent only for it to crash within a couple of days. And that way, it becomes extremely difficult to make any meaningful returns. In fact, for every 7 picks given on this site, 6 of them are total BS! One common characteristic of online scams is that they’re typically accompanied by well-crafted and seductive sales copies. And things aren’t any different from the Penny Stock Prophet program. For instance, James Connelly claims to turn $1000 into $2500 in less than 24 hours with penny stocks. Such a catchy phrase – but one that isn’t based on any objective study or time-tested strategies. The long, sweet adverts and testimonials are usually carefully designed to build up social proof. In this case, the so-called James Connelly goes ahead to share some shady “evidence” of his ability to pick stocks that can help one double or quadruple their income overnight. To make matters worse, James doesn’t seem keen on sharing any historical evidence to highlight his track-record. I mean, good traders should be able to stand behind a strong track record rather than just ride on the hype of one or two trades. Newbies looking for the fast track to millions are the main target audience for James and his fellow scammers. Everything about this website comes with tons of get-rich-quick claims. But if you’ve been in the online trading field for a long time, you’ll agree with me that there’s no trader in the world who would agree to exchange their decades of knowledge for a one-off fee as opposed to subscription fees. 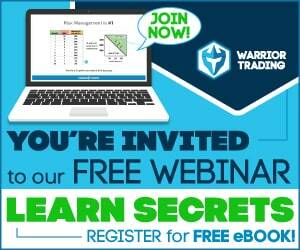 In that regard, the Penny Stock Prophet program seems too good to be – and it truly is. This is simply a game of musical chairs and no sane trader should gamble with it. Nothing in this service is worth paying for. James is clearly a paid stock promoter who has devised clever ways to profit from the sweat of unsuspecting subscribers. So, don’t join it unless you’re comfortable losing your money and giving your personal details to a company that would spam your inbox with useless stock picks. A good trading and learning platform should be transparent, realistic, and value-oriented. Anything that sounds unbelievably good probably is. Over time, we have learned to only trust trading services that focus more on training and chatrooms instead of wheeler-dealer arrangements. One service that has particularly won our attention is the Investors Underground by Nathan Michaud. Nathan, unlike James Connelly, isn’t a faceless marketer. He’s been trading for close to two decades. 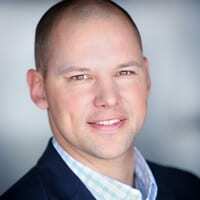 In fact, everyone who has been in this game for a long time knows that Nathan was among the people who helped Tim Sykes set up Profitly. He later left and started his own service, and in 2008 founded Investors Underground. He’s quite active on social media platforms and his track record is so far beyond reproach. Besides IU, the Warrior Trading platform by Ross Cameron has dazzled with its unique approach to trading. Comprising an education service and chat room, this versatile platform is built a growing community of momentum traders. The site has a variety of trading courses on offer. Which also means that they have a clear revenue model. That’s in addition to the fact that they have a long list of convincing testimonials. Penny Stock Prophet may sound like a good concept on paper but it actually is a paid program that only seeks to squeeze more cash from your pockets without giving you anything in return. The greedy guys behind it hardly make any effort to improve the quality of their picks and that’s why anyone who subscribes is guaranteed to lose their money. Don’t waste your time on it, please. This is exactly why we stand firmly behind Investors Underground and Warrior Trading which, though expensive, provide a more realistic growth curve. Investors Underground Review: Is This Service Any Good?